We have very minimal room on my side of the bed, so I needed something that wouldn't take up too much space, but still allow Eli to sleep next to me. 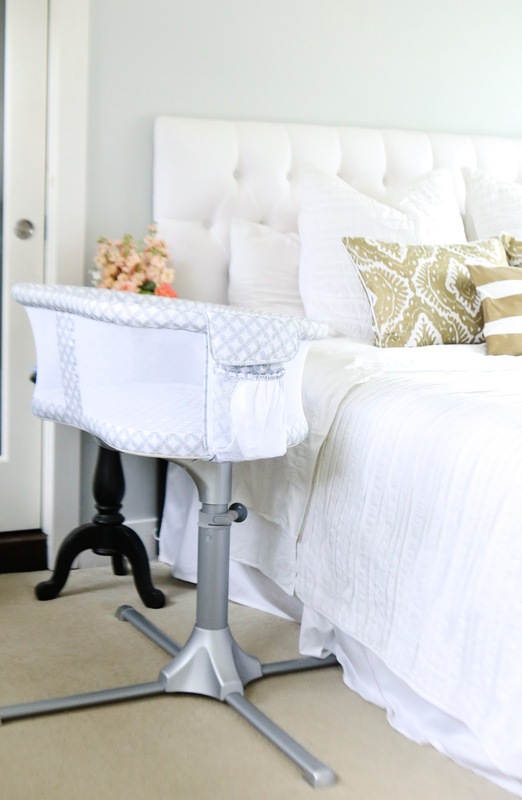 The HALO Bassinest has a thin base that allows me to slide the base under the bed so that the Bassinest is right up next to my bed. You can also adjust the height on it, so that is is the exact level of your mattress. The side of of the Bassinest lowers. It lowers! So genius. All I have to do is reach over, push the side down with my elbows while I pick up Eli. 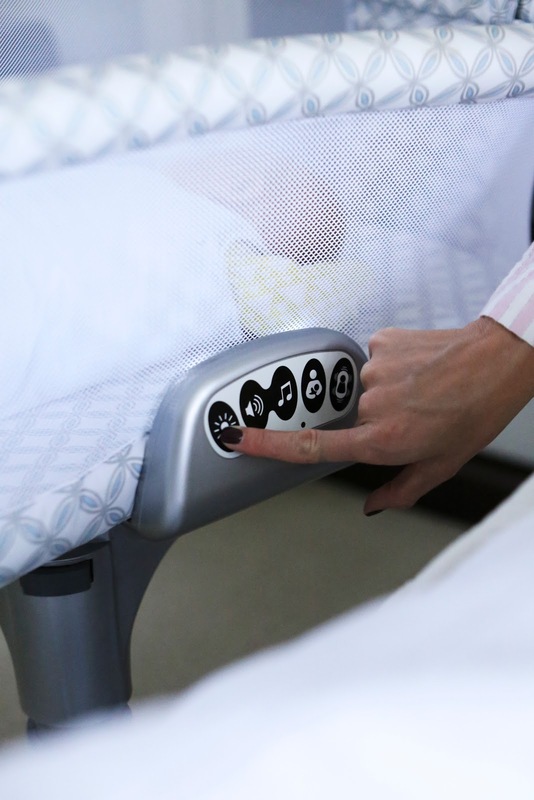 And it's retractable, so it goes right back up after you press down on it, keeping the baby safe and eliminating any chance of the baby falling out. It has amazing button options. It vibrates (!! 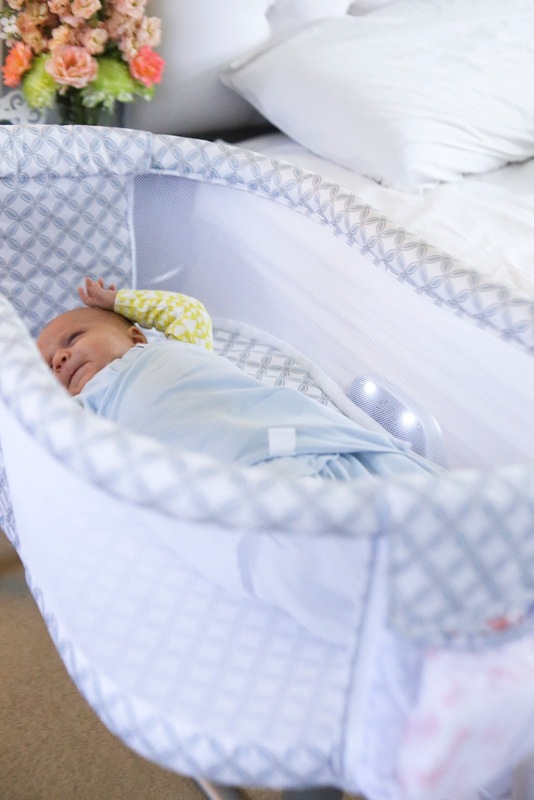 ), it plays soft music, it has a blue light that makes it easy to see at night, and it had a nursing timer button that blinks for 15 minutes so you know when to change sides. I'm not joking. They thought of everything! Keep your movements minimal. The more you move around for each feeding, the harder it will be for you to fall back to sleep. 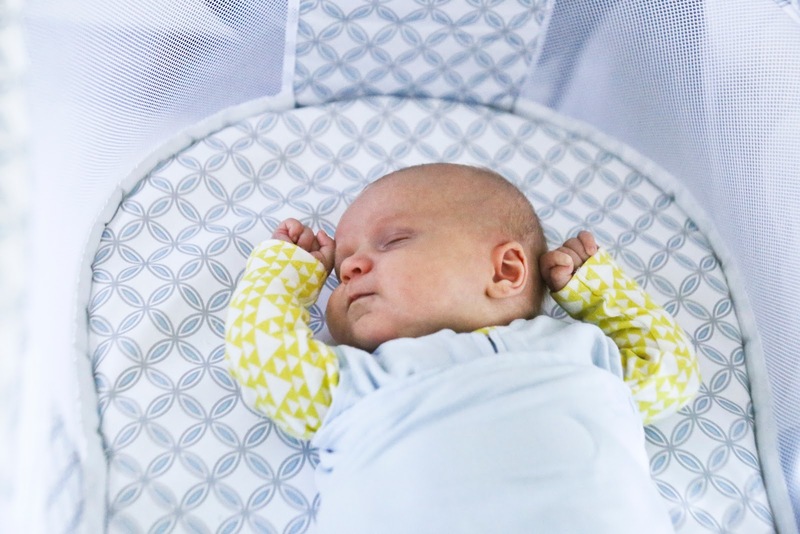 To eliminate unnecessary moving around all night, keep the baby within arms reach, along with everything else you need. I keep a big pillow on the floor by my bed so that when Eli wakes up, I can just bend down, grab the pillow, and throw it behind my back to prop me up while I nurse. I also sleep with my nursing pillow in between my legs. I usually sleep with a leg pillow anyway, and this is a convenient way to quickly grab my nursing pillow without having to stand up and get it. I also keep diapers, wipes, and a burp cloth on my nightstand. Prep everything beforehand. No matter how tired you are going to bed at night, you are going to be more tired in the middle of the night nursing. So make the effort to "set up" your bed before hitting the hay. 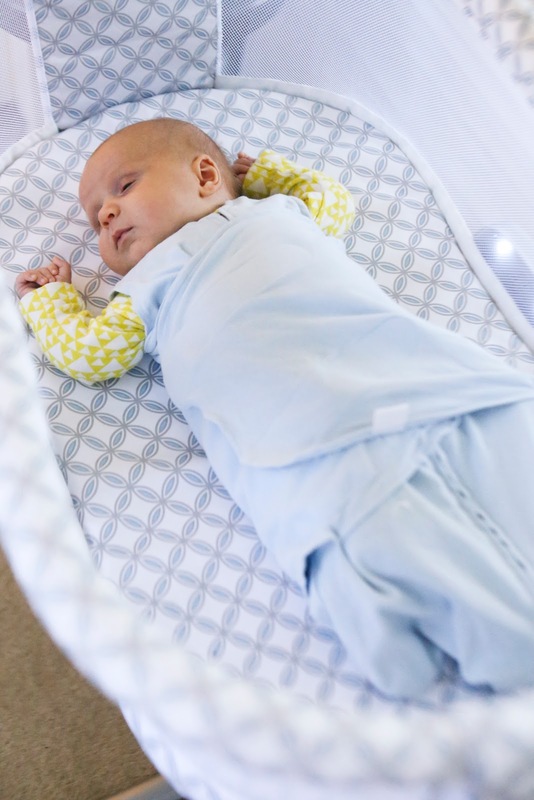 Load your nightstand with diapers, wipes, a burp cloth, a water bottle, and anything else you might need for late night feedings. 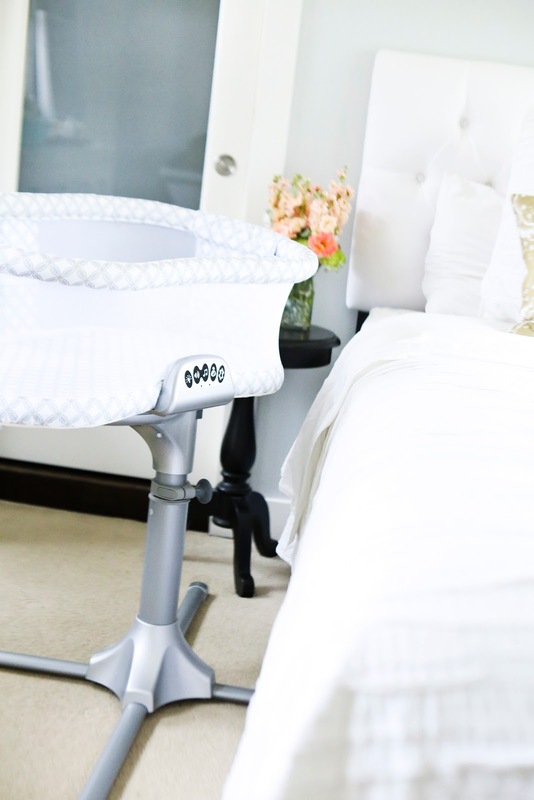 In order to see how amazing the HALO Bassinest really is, I made this video to show you exactly how I use it. 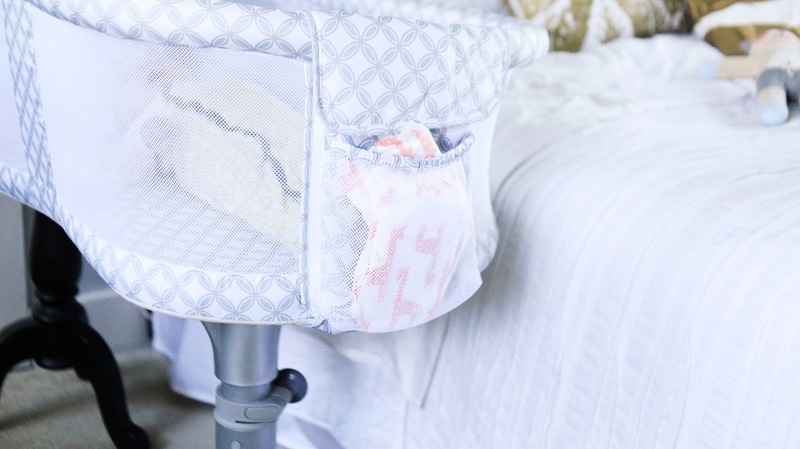 You can find more about the HALO Bassinest on their instagram, facebook, twitter, and pinterest.